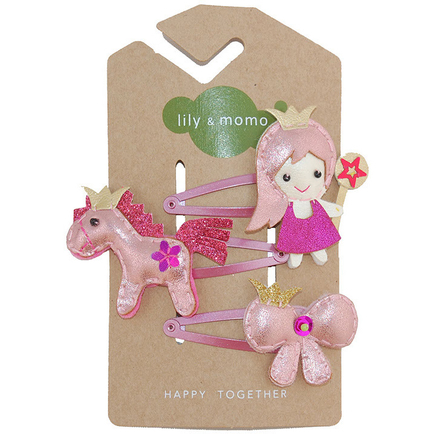 Shimmer and shine with the princess and carriage hair clips in aqua and gold. Princess: 2.5" tall * 1.9" wide arm to arm. Carriage: 1.4" tall * 1.6" wide.